We all know that routine eye exams are important for our eye health. They keep us up-to-date with our prescription, help assess any health concerns with our eyes, and ensure we’re seeing at our very best. But did you know that an eye exam can also save your life? There are countless health conditions or diseases that can’t always be detected in an average checkup with your general physician. Eye doctors, on the other hand, have unique technology and insight to your eye health, which can tell a lot about your overall health. Find out how eye exams can save your life, and book your next visit with eye doctors Dr. Lang or Dr. Cottone at Bayside Eye Center in Punta Gorda! 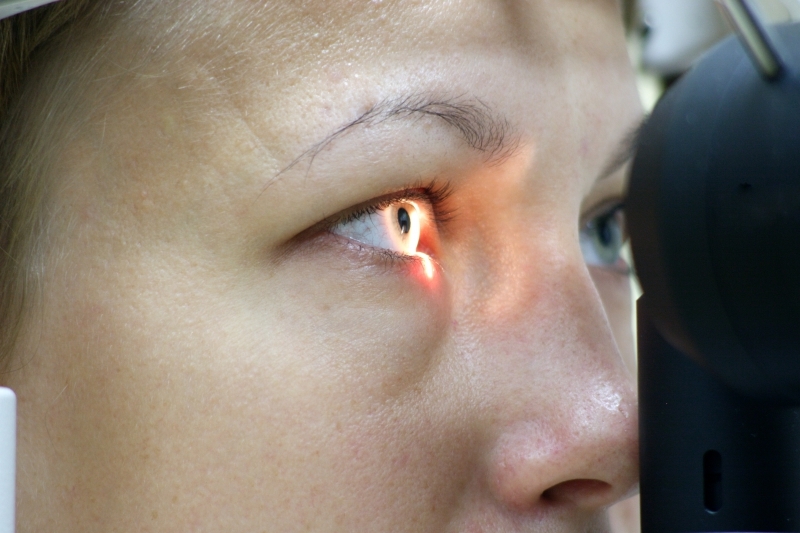 Many doctors agree that an eye exam can be just as beneficial as a physical. Here are just a few of the conditions that can be diagnosed from an eye exam — and a few more reasons why you should book that annual eye appointment ASAP with Bayside Eye Center. Many people who have been diagnosed with brain tumors were made aware of their condition from going to the eye doctor. Eye doctors can detect problems with the optic nerve, blurriness in the eye, or other issues that can indicate the presence of a tumor. Eye doctors have more specialized technology than you can expect to see at a routine physical. If something looks suspicious, they’ll be able to notice it and refer you to a primary care physician right away. Having a droopy eyelid or pupils that are irregularly shaped can be a sign of an aneurysm, as well as a sign of a neck tumor. Your eye doctor will be the first to notice if something is off, and they’ll be able to get you the help you need. High blood pressure can put you at risk for a heart attack or heart failure. Heart disease is still the leading cause of death in the United States, which is why it needs to be diagnosed and treated as quickly as possible. The blood vessels in your eye can indicate if you have hypertension. Unusual bends, kinks, or tears can all be a sign that you have high blood pressure, and can be diagnosed efficiently by an eye doctor. Bulging eyeballs or puffy eyes are a sign of thyroid disease, otherwise known as Graves’ disease. It’s pretty fascinating to think that your thyroid, which is seemingly unconnected to your ocular health, can express symptoms in your eyes. The eye doctors at Bayside Eye Center know what to look for in terms of eye health, and are also knowledgeable of when your eye health is indicating other general health problems. Like hypertension/high blood pressure, high cholesterol is dangerous because it can lead to heart failure, as well as aneurysms and strokes. The white part of your eye (also called the sclera) and the cornea should not have any yellow tinges to them. If they do, an eye doctor will be able to pick up on this during an eye exam, and refer you to another medical professional for further diagnosis. You could curb the effects of high cholesterol and heart disease, simply by going in for an eye exam. It would make sense that ocular melanoma (cancer of the eye) could be diagnosed or suspected during an eye exam. But did you know that even skin cancer can present symptoms in your eyes? Basal cell carcinomas can show themselves on your eyelids, and need to be detected as soon as possible, as the cancer could spread to your brain. An autoimmune disorder, lupus can exhibit symptoms in your eyes if they appear inflamed. All of these medical conditions could understandably leave anyone feeling worried and anxious about their health. No one wants to get bad news when they go to the doctor. But it’s so much better to get bad news sooner rather than later — and in the case of some of these diagnoses, it’s better to get bad news now instead of when it’s too late. If anything, it’s amazing to think about how well our eyes serve us. They truly are a window, not only to our souls, but to our overall health. March is Eye Awareness Month, and it’s a perfect time to pay tribute to these organs that do so much for us. Chances are, your eye exam will go smoothly and your eyes are healthy. If not, at least you’ll know, and you can do what’s necessary to get better. Make your health a priority — schedule an eye exam with the best eye doctors in Punta Gorda at Bayside Eye Center.